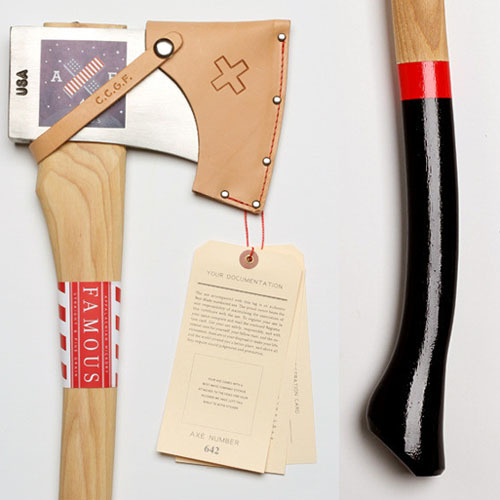 An axe is a dangerous and hefty tool used around fires, to clear trails, skin animals... But thanks to the Best Made Company, axe wielding manly men have never had the opportunity to be so stylish. 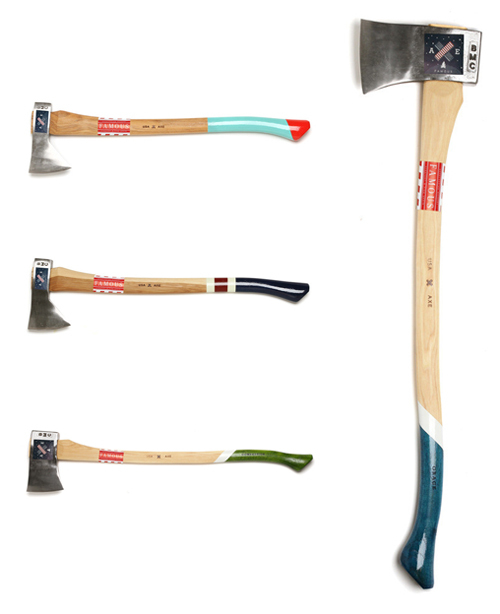 Although Best Made Co is based in NY and are behind the meticulous and beautiful design of each axe, each of these manly specimens is drop forged in North Carolina by fourth-generation axe makers. Council Tool in Lake Waccamaw has been making heavy duty American made tools since 1886 and are well known for their wealth of experience. Style and quality, it's a good match. I love good packaging and Best Made Co does not disappoint. Each of their axes (they offer 25 in all) is fitted with a top grain leather blade guard and arrives at your front door inside a hand built crate with wood wool. And the fun part (at least for us women) are the accessories. Best Made Co also smartly offers this Axe Care Kit, which includes files, clamps, linseed oil and all things to keep your axe sharpened and looking good.